In Kilis, which has more Syrian refugees than locals, civil cervants will learn Arabic to help refugees. Arabic language and literature teachers and graduates from the faculty of theology in Kilis province, which hosts more Syrian refugees than its own population, are being educated at Ez-Zehra University in Gaziantep province so that they can teach Arabic to the civil servants in the city. Held with the support of the Gaziantep Damascus Foundation and the Salah al-Din Yusuf Ibn Ayyub Philanthropic Association, the Arabic teaching techniques course continues at the conference hall of the Provincial Office of Mufti. The educational program sees the participation of 27 Arabic language and literature teachers and graduates from the faculty of theology and is given by four academics, who are experts in their fields. The first aim of the education program is to solve the communication problem between Syrian refugees and civil servants, teaching them Arabic and to help allow the peoples of the two countries to socialize. After the course, civil servants, imams and teachers of Imam Hatip schools will be taught Arabic by these 27 course participants with the support of related institutions. Speaking to Anadolu Agency (AA), Ez-Zehra University Vice Rector Associate Professor Bekir Mehmet Ali said Turkish citizens need to learn Arabic for various reasons. Noting that they held a technical education program for 30 hours aimed at the Syrians who were educated in this field, starting with the thought of "how can we teach Arabic to those who are not Arabic," Ali said the education program is kept at an academic level. Ali also added that they would give a certificate to successful participants at the end of the course, where they taught Arabic teaching techniques and methods. Noting they want to teach Arabic to the Turkish public, Ali continued, "Turkish people need Arabic. They need it for religion and politics or to socialize. 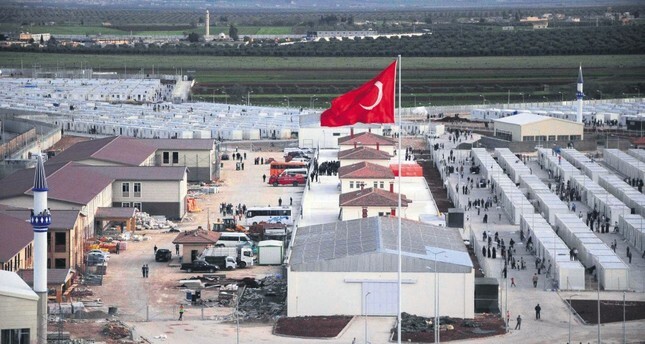 Three million Syrians live in Turkish territory now. If the Turkish people learn Arabic and Arabic people learn Turkish, they will socialize faster. The participants of the course are graduates from Arabic language and literature or the faculty of theology. We have chosen them because not all who know Arabic can teach it. We wanted to conduct this work in an academic way." Telling their university has 15 offices in Şanlıurfa along with eight others in Gaziantep, Ali added, "After the education program, we will offer open courses to the Turkish public. We know that Syrian people have to go to state institutions occasionally, and the civil servants cannot speak Arabic. Translators come to help sometimes but they cannot always provide the communication. If the civil servants know Arabic, everything will be easier. We interviewed the director of National Education, who also felt positive about the project. We hope the state will support it after they see the success of the Turkish people learning the language. We say every language is national but not Arabic. It is the language of all Muslim people. It is also really important economically and commercially."